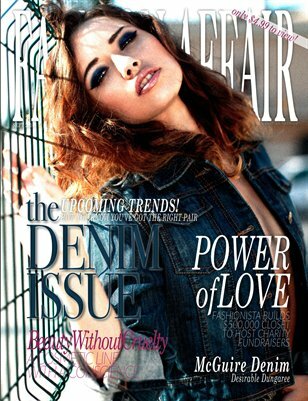 This issue was created for those who value the look and feel of quality denim. We introduce to you the upcoming 2014 Fall/Winter denim trends and how to wear them. We also discuss the importance of self-love and how we must unglue ourselves from the walls of technology and start paying attention to those we care about most. We take you to the most lavish locales in Philly and show you the inside of a 3 level closet that cost $500K to build.